Freeview has reported an increase in the number of households using the service on main-set televisions to over 11 million – its highest figure ever. 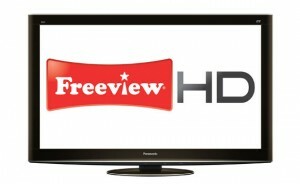 The number of homes with Freeview on a main or second TV set is almost 20 million (76 per cent of UK television homes). Today also marks a change to Freeview’s HD channel line-up as BBC Two HD launches on channel 102, replacing the existing BBC HD channel. Subject to regulatory approval, a further ten HD channels could launch on the Freeview platform by the end of next year. Three years since launch, cumulative Freeview HD equipment sales stand at 7.6 million2 and the total number of homes with Freeview HD on their main set has reached 3.53 million, making Freeview HD the second biggest HD platform in the UK. Month-on-month, HD penetration has increased to its highest share of sales to date; Freeview+HD represented 60 per cent of total Freeview+ sales and Freeview HDTVs accounted for 41 per cent of total iDTV sales in January. Freeview+HD box sales have increased 24 per cent year-on-year4. Ilse Howling, Managing Director of Freeview, said: “The last 12 months have been a landmark year for Freeview. For the first time, the whole of the UK was able to receive Freeview and Freeview HD following the completion of digital switchover.